When is the best time to travel to Montenegro? 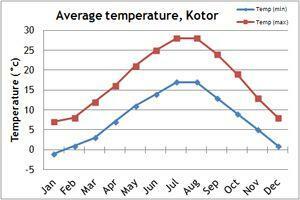 Our climate charts will give you an idea of the weather conditions in Montenegro. During the mid summer, accommodation can be booked up and more expensive. Thunderstorms are common in summer. 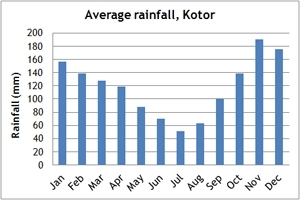 The best time to visit Montenegro is in the spring and the autumn, particularly if you wish to walk or trek, as the temperatures will be slightly cooler, and it should be less busy. The coast is best visited in May, June and September. The mountainous interior region is generally cooler than on the coast. Temperatures fall in winter, with national parks transforming in to ski resorts. If you can't make the dates of our group departures, then take a private departure on dates to suit you, or we can create a Tailor Made holiday to Montenegro, especially for you and your family or friends.